Sellers sometimes find it difficult to figure out how to attract the right buyers for their homes. In many cases, it is effective to have your residential property listed on a multiple listing service. This is a collection of databases that brokers use to share listings with one another for the purpose of finding buyers who are ready and able to purchase property faster than they would be able to find them on their own. The incentive for brokers to list is that they earn sales commissions both from the properties they list and from those they help sell as buyers' representatives. If you have questions about how this process works, the Boston real estate lawyers at Pulgini & Norton are available to advise you. In general, sellers are benefited by a multiple listing service because they are able to reach many more potential buyers than they could reach by using an individual broker who does not participate in a multiple listing service. Buyers are also benefited because they have access to a wide range of listings with the ability to put in very specific criteria in order to narrow the list. For example, they can figure out how much they will need to pay in property taxes and utilities at a particular property, and they can determine which properties are available in connection with public transportation stops. The multiple listing services also provide information about comparative market analyses (CMA). This is information about which similar homes are listing and selling for how much at a specific point in time. The listings are updated on a daily basis, and members are supposed to release listings to the service in which they participate within a short time frame of getting the listing. This allows competitive buyers to immediately learn of properties that might interest them and have an edge over other potential buyers. The multiple listing services are run by professional licensed real estate agents. Generally, brokers and agents who use the 800 available multiple listing services around the country are members of the National Association of Realtors. Traditionally, only people who were willing to pay a broker could have their property listed, in exchange for a 5-6% sales commission. However, some brokers and listing services do allow sellers to list their homes for a flat fee. The participating brokers allow the public to use the information free of charge, but certain information is kept private, such as seller contact information and periods of vacancy at the home so that it can be shown. The multiple listing services facilitate cooperation among brokers and agents, encouraging the consolidation of real estate information. In a competitive market, it is important for both sellers and buyers to consider using these services or working with those who use them. 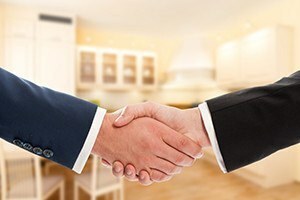 Our Boston real estate attorneys can help you get your home listed on a multiple listing service and counsel you on making decisions in connection with your sale or purchase of a home. At Pulgini & Norton, we also advise and represent buyers, sellers, associations, and lenders in Somerville, Hyde Park, and Braintree, among other Massachusetts communities. Contact our property transaction attorneys at 781-843-2200 or through our online form for a free consultation.